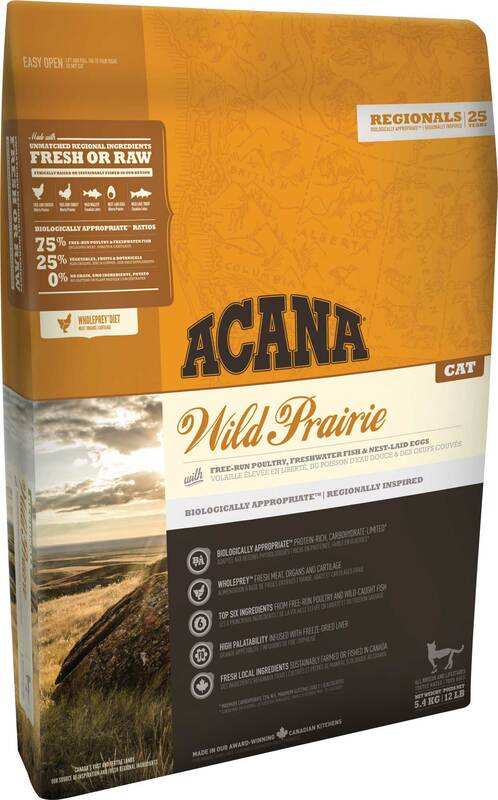 Inspired by our vast fertile prairies, rich soils and pristine lakes, ACANA Wild Prairie features unique regional ingredients delivered fresh from western Canadian farms and waters. Loaded with free-run chicken, turkey, whole nest-laid eggs and wild-caught fish from our cold northern lakes, delivered fresh daily in WholePrey ratios, ACANA Wild Prairie is brimming with natural goodness. Trusted everywhere, carbohydrate-limited and protein-rich ACANA promotes peak conditioning in all breeds and life stages. Read our ingredients and we think you’ll agree.